So for the whole of March I’m on a Dechox! 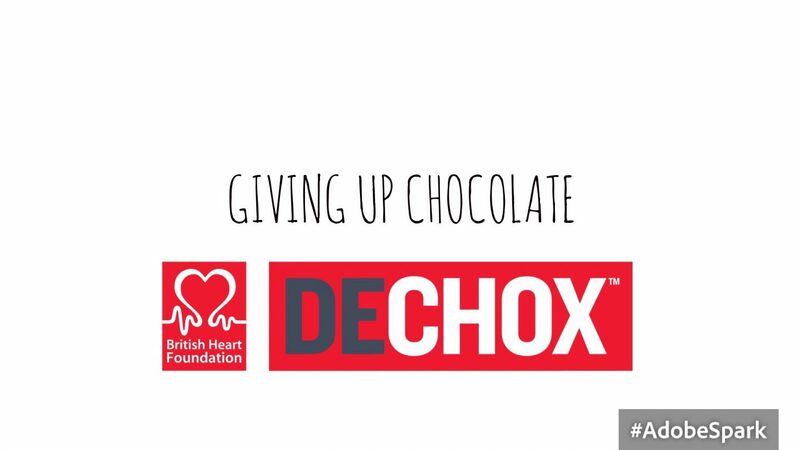 For those of you that don’t know the DECHOX campaign is in support of the British Heart Foundation and the idea is to be sponsored to not eat chocolate. Anyone that knows me will realise how difficult this is for me as I’m partial to the odd chocolatey snack every now and then. Despite this I decided that its for a good cause so I may as well do it before Easter comes and I just want to binge eat Easter Eggs and Lindt Bunnies. So I’m 5 days in and so far so good, I haven’t been too tempted but I think that’s because I pre-empted that I’d want something sweet so stocked up on snacks. Get someone to DECHOX with you! My cousin Alice is also cutting out chocolate so that makes it easier when I’m at home because at least not everyone is munching on a chocolate digestive with their cuppa in front of me. Eat/ Share your chocolate before you start the Dechox so it isn’t in the cupboards to tempt you once you give it up. I slowly worked through what was left of mine and shared it with my housemate to make sure nothing was left. Try to replace Chocolate with other (ideally healthy) snacks that when you do get a craving you have something to substitute the usual chocolate bar. My favourites so far have been sweet fruits like strawberries and pineapple… but also Lotus Biscoff Caramel Biscuits. If you are used to chocolatey cereals you can replace them with the usual Cornflakes, Shreddies etc, but a nice replacement can be porridge with syrup or fruit which is just as sweet, healthier and more filling. 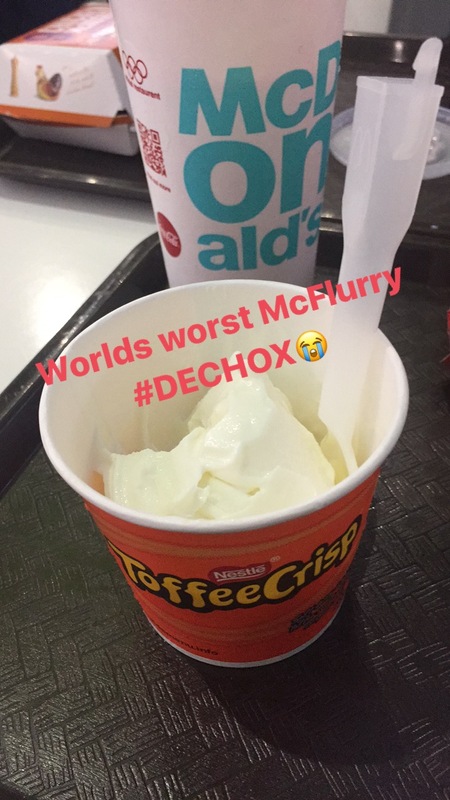 As well as I’m doing, obviously I still miss my chocolate- I missed it most when I had to order a plain McFlurry with no toppings *cries*. Jokes aside this campaign is for a great cause which changes the lives of thousands of people. If anyone wishes to donate you can do so here, the money raised is invaluable and could help save the life of someone you know. It’s not too late to start your own Dechox, why not start now and tag a week onto the start of April, anything to help an amazing organisation. Next Post We Had Makeovers! Omg I am actually a recovering chocolate addict (I’d have like at least a bar a day) – I’ve not had it for a month and a half and I feel great! It’s been hard- but worth it!